Electronics Corporation of India Limited has published ECIL Recruitment 2018 notification for the recruitment of eligible candidates for 400 Jr Technical Officer, Jr Consultant vacancies on the contract basis. So, All interested and eligible candidates can attend ECIL JTO Recruitment 2018 walk-in-interview along with required documents at the following venue from 6th Nov to 10th November 2018. Refer the full details of Electronics Corporation of India Ltd (ECIL) Recruitment 2018 like No. of Vacancies, Age Limit, Educational Qualification, How to Apply, Application Process, etc here. ECIL, a Public Sector Enterprise under Department of Atomic Energy is looking for dynamic and result-oriented personnel for the following positions purely on contract basis for various project sites spread over across the country i.e. Odisha, Chhattisgarh, Bihar, Jharkhand, Kerala, West Bengal, Arunachal Pradesh, Assam, Manipur, Meghalaya, Mizoram, Nagaland, Sikkim and Tripura, Andaman & Nicobar and Goa etc. Presently, Electronics Corporation of India Limited is recruiting the eligible candidates for Junior Technical Officer & Junior Consultant Officer (Field Operation) on the Contract basis under ECIL Recruitment 2018. This is a good opportunity for those aspirants who want to build their career in ECIL. Willing candidates who have met the eligibility requirements can appear for ECIL Jr Technical Officer Recruitment 2018 Walk-in-Interview on the scheduled dates a the given venue. Candidates who got selected as Junior Technical Officer will be engaged for a period of one year whereas selected for Jr. Consultant (Field Operation, Gr-II) will be engaged for a period of six months and can be extendable up to six months or more depending upon the project requirements. Get further information about ECIL JTO Recruitment 2018 notification like No. of Vacancies, Age Limit, Qualification, Selection Process, Salary, etc. Candidates who wish to apply for ECIL Vacancy 2018 have to, first of all, ensure the following eligibility conditions like Age Limit, Qualification, etc. Age relaxation is admissible by 05 years for SC/ ST, 03 years for OBC, 10 years for PWD candidates as per rules. For Jr. Technical Officer Posts: A First class Engineering Degree in Electronics & Communication/Mechanical/Electronics /Instrumentation/Electrical & Electronics /Computer Science and Information Technology with minimum 60% marks in aggregate from any recognized Institution/ University. However, candidates with a minimum of 6 months post qualification industrial experience will be given preference. For Jr. Consultant- Field Operation Posts: Should have passed ITI (2 years duration) in the trades of Electronic Mechanic/R & TV /Electrical and Fitter from the duly recognized institute. In addition to the eligibility criteria, get further details of ECIL JTO Recruitment 2018 Notification like Application Fee, Selection Process, Salary, Important dates, etc. 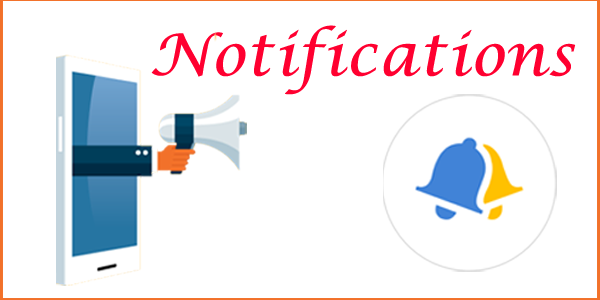 Refer the official ECIL Recruitment 2018 Notification. The selection will be on the basis of the performance in Interview for Jr.Technical Officer & Written test for Jr. Consultant (Field Operation, Gr-II). For Jr. Consultant- Field Operation Jobs: Rs. 16,042/- Per Month. We have shared the full details of ECIL JTO Recruitment 2018 Notification for the guidance purpose of the candidates. In case, if you have any queries, refer the official ECIL Recruitment 2018 Notification Pdf through the link provided below. Keep in touch with our site Naukri Samachar for more job opportunities.